The question is often asked: Do the rich pay their “fair share” in taxes? It’s never particularly clear what the rich currently pay, nor is it clear what share of taxes is fair for them to pay. A good place to start would be to determine exactly what high-income earners currently pay. 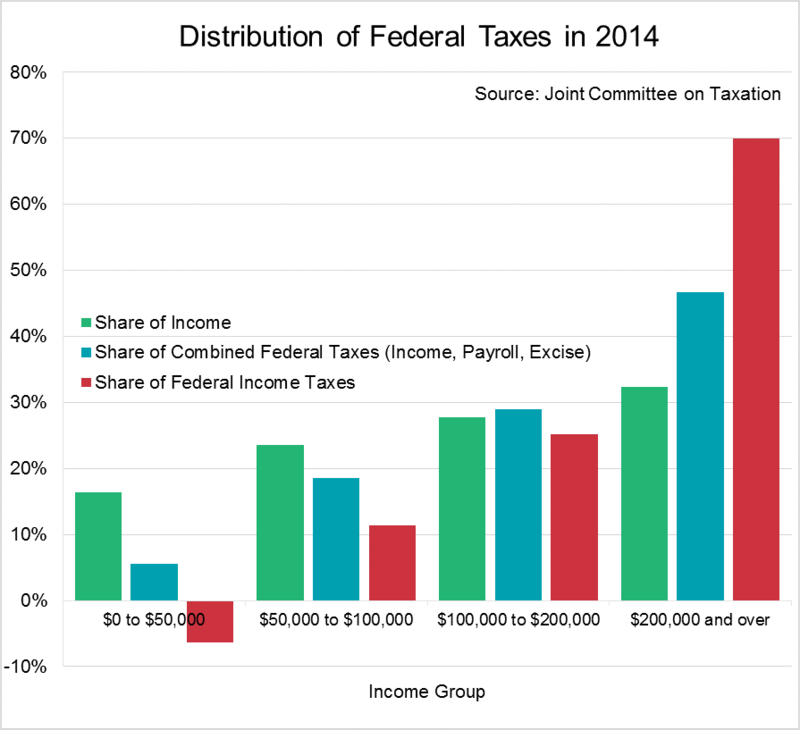 Estimates from Congress’s Joint Committee on Taxation and recently highlighted in the Wall Street Journal make it abundantly clear that high-income earners pay a disproportion share of taxes in relation to their income in the U.S. According to the Journal, taxpayers with income over $100,000 a year earn 60 percent of the nation’s income and pay 95.2 percent of the income taxes in the United States. If we consider all federal taxes paid (income, payroll, and excise taxes), those making over $100,000 (a little over 20 percent of taxpayers) pay for 75.7 percent of total federal taxes (this excludes the burden on corporate and investment taxes). 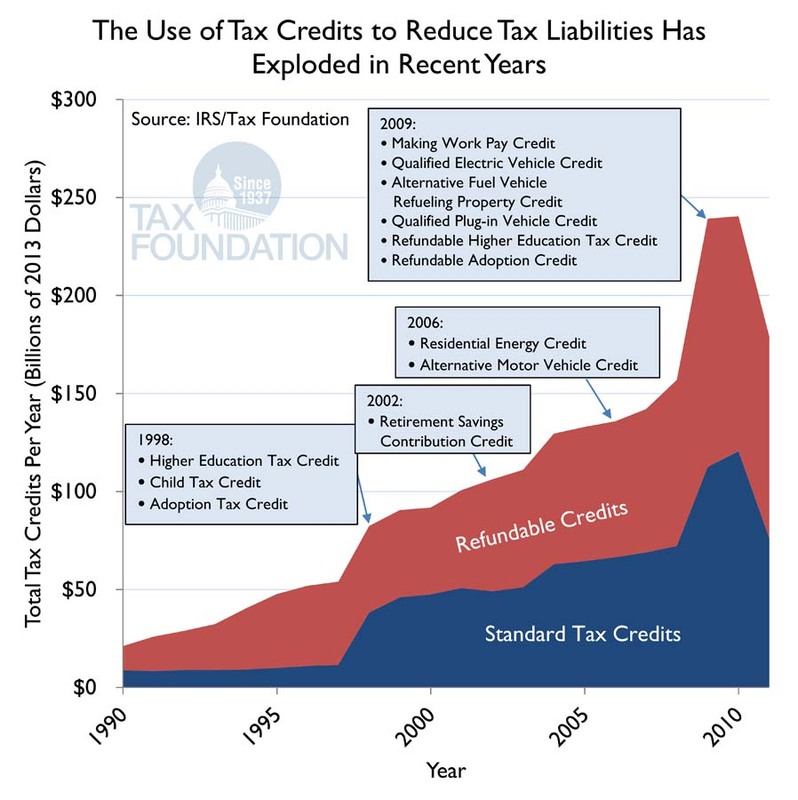 If we break this down further (as in the chart below), the level of progressivity in the tax code becomes even clearer. Those making over $200,000 comprise just over 5 percent of the nation’s taxpayers, earn 32.3 percent of the income, but pay 46.7 percent of total federal taxes and 70 percent of federal income taxes. As we move down the income scale the ratio of taxes to income decreases. Those making between $100,000 and $200,000 a year make up 15.6 percent of all taxpayers, earn 27.7 percent of income, pay 29 percent of total federal taxes and 25.2 percent of federal income taxes. Those between $50,000 and $100,000 make up about a quarter of the country, earn 23.6 percent of all income, pay 18.6 percent of federal taxes and 11.3 percent of federal income taxes. Finally, taxpayers making less than $50,000 a year represent about half of the country, earn 16.4 percent of the nation’s income, pay 5.6 percent of taxes and have a negative share of income taxes because they receive more back then they pay out (largely due to refundable tax credit programs). So, there is the information on who pays what. Now a question for you: do the rich pay their fair share?